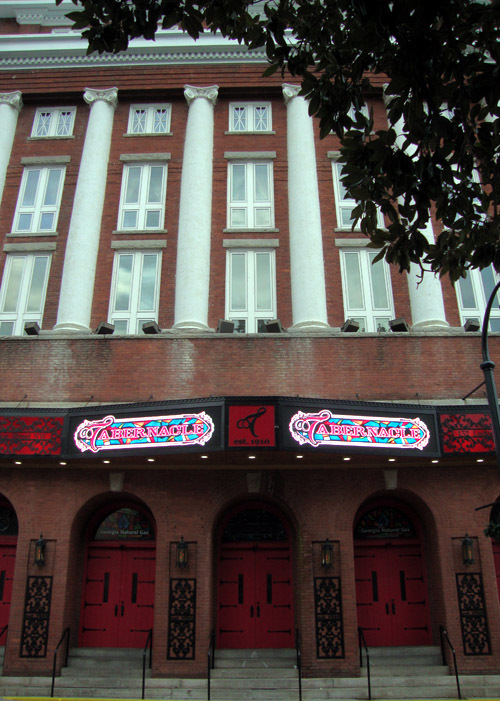 Today one of Atlanta's popular music venues, The Tabernacle opened in 1910 as The Broughton Tabernacle—a church. Throughout the years, the building has been a church, a medical center, a nursing school, was vacant for about a decade, was a House of Blues club, and is now a live music venue owned by Live Nation. The Tabernacle headlines popular indie musicians and some big names too. I went to the Tabernacle recently to see Margaret Cho. The concert was filmed so I assume it will be used for her next CD...excited about that! Adjacent to Centennial Olympic Park toward the east, The Tabernacle is easily included in a busy day of playing tourist. It's on Luckie, street of 49 or so little mosaics in the sidewalk.